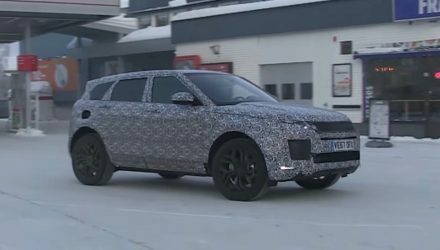 The latest Range Rover Evoque update might look pretty similar to the predecessor on the outside – which is a good thing as it looks absolutely gorgeous – underneath debuts a revolutionary step in automotive technology; a nine-speed automatic transmission. 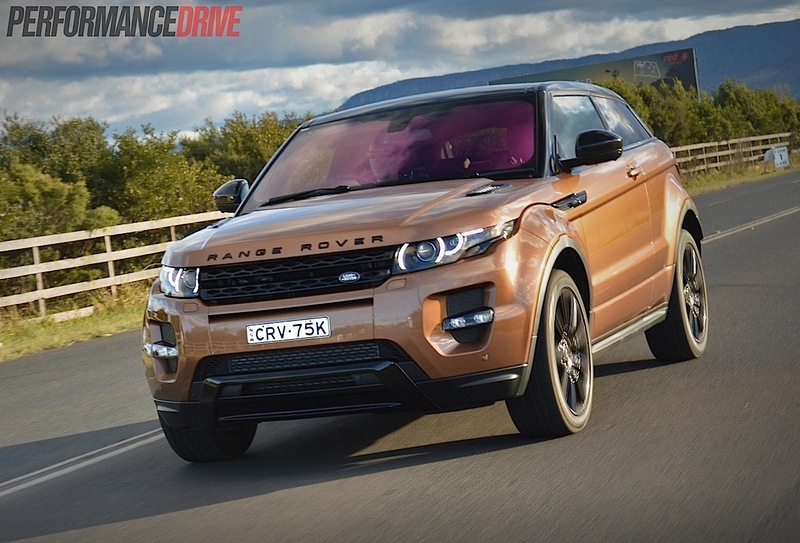 Since hitting the market in 2011 the Evoque has been a sales success all around the world. Its smart, well-proportioned looks, genuine fancy interior, and clever off-road drivetrain appeals to many buyers. 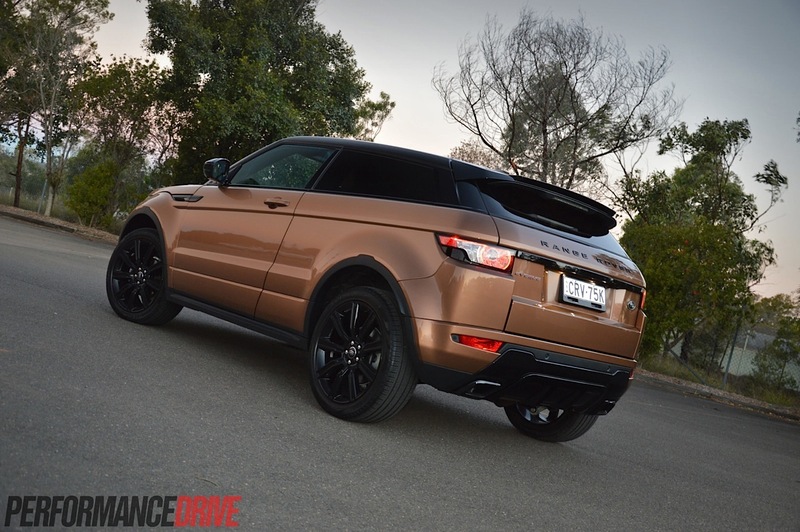 The fact that it has a Range Rover badge on it is all the better. 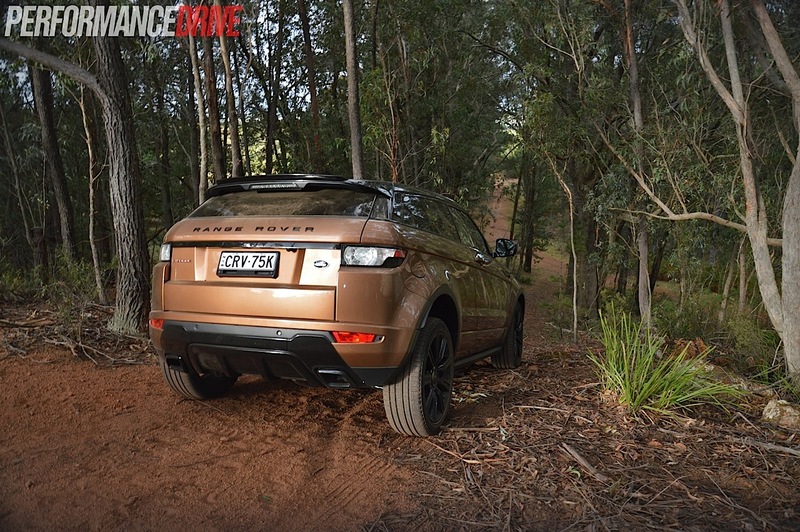 During 2013 in Australia, Land Rover sold 2565 examples, making it the third most popular proposition in the segment. So far this year (as of July VFACTS), 1607 examples have left the showroom floors. It’s just missing out on claiming second spot from the BMW X3 (1697). 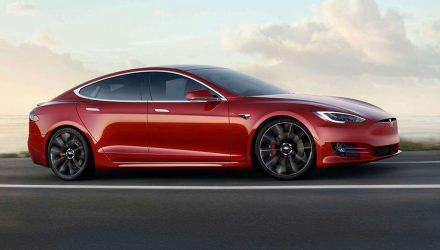 There are a number of variants on sale in Australia, including three-door coupe models and five-door models, with four engine choices (TD4, eD4, SD4, and Si4) spread across three trim levels (Pure, Dynamic, Prestige). It’s a rather extensive lineup. From the entry-level eD4 2.0-litre turbo producing 110kW/380Nm, to the frugal SD4 2.0-litre turbo-diesel developing 140kW/420Nm, to the range-topping Si4 2.0-litre turbo-petrol four-cylinder outlaying an impressive 177kW and 340Nm; there is a package to suit a wide variety of demands. 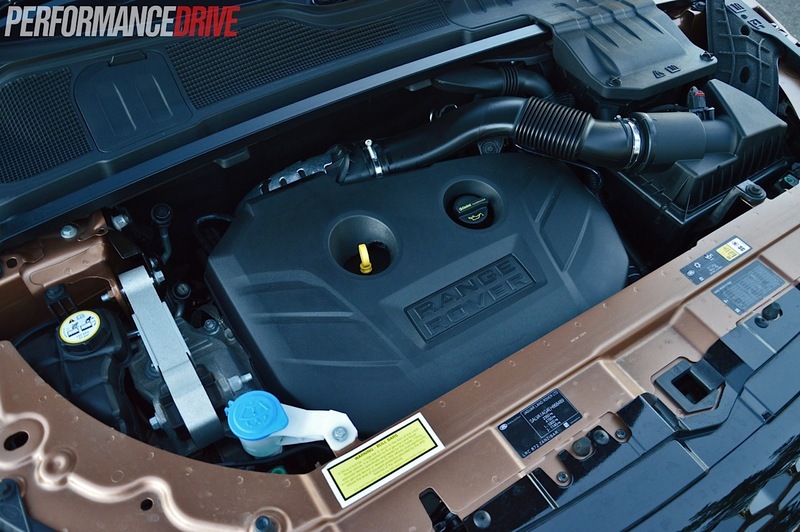 Here we’re testing the Dynamic coupe with the Si4 Ford EcoBoost-derived 2.0-litre turbo. It comes with a nine-speed auto gearbox and all-wheel drive with various drive modes as standard. Prices start at $49,995 for the base model Pure with the eD4 engine, to the range-topping three-door Si4 Prestige kicking off from $81,470. This three-door Dynamic starts at $76,070. Options, customisations, personalisation, added exclusivity, call them what you will, there are loads of options available with the Evoque. 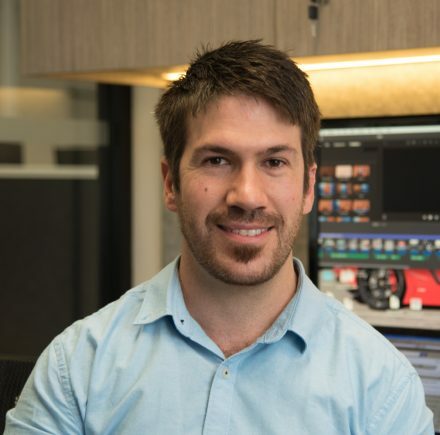 In fact, if you add up the cost of all major extras available for the Dynamic you’ll be nudging $60,000 – almost the original sum of the vehicle. 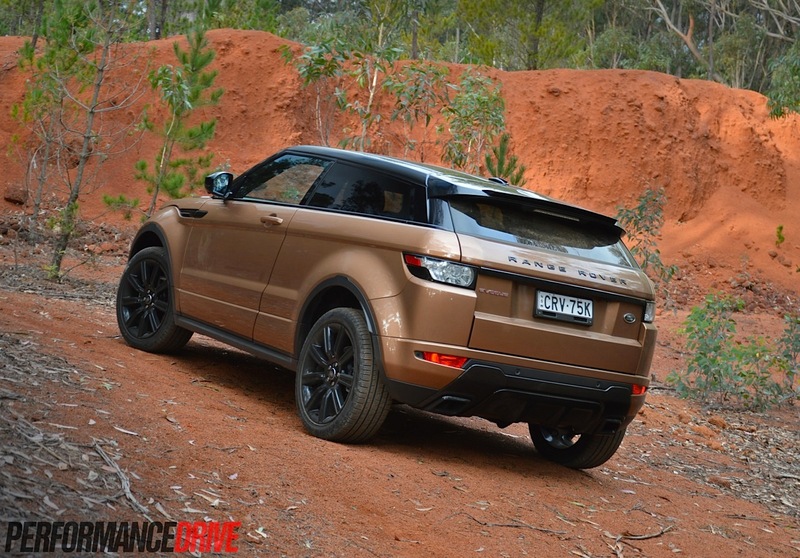 The upshot of this is you can make your Evoque look and feel pretty much exactly how you want it. Take this test vehicle as an example. 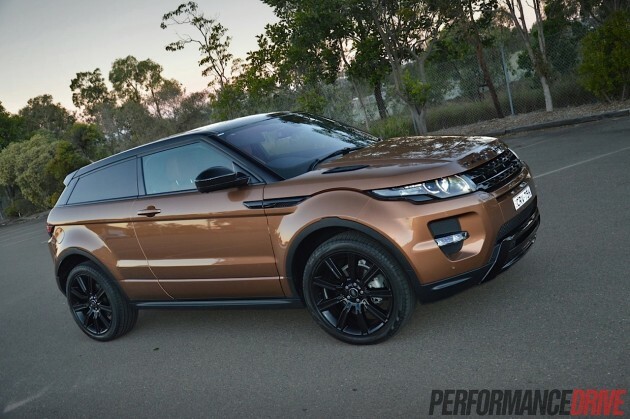 It’s painted in the new Zanibar bronze exterior with matching leather sports seats inside. It has awesome presence in the metal. It’s one of those vehicles that you can’t help but walk up to and take a closer look. 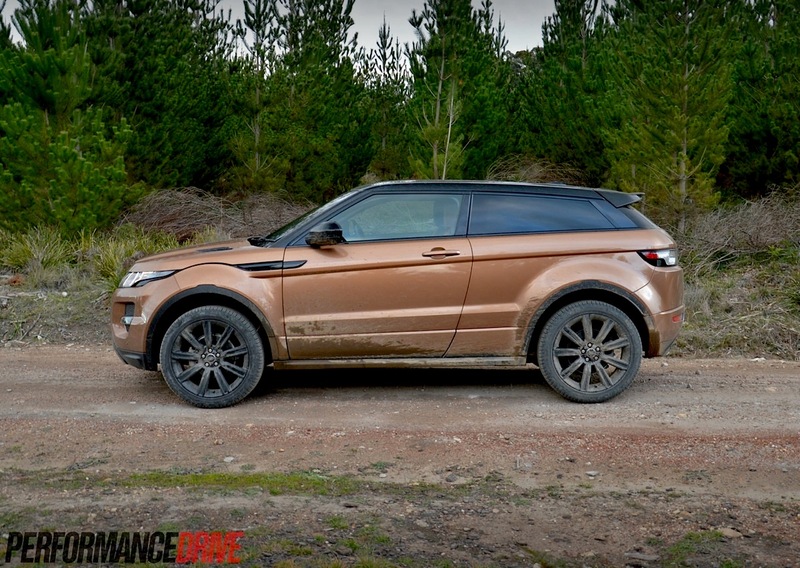 And that’s all part of the Evoque experience. 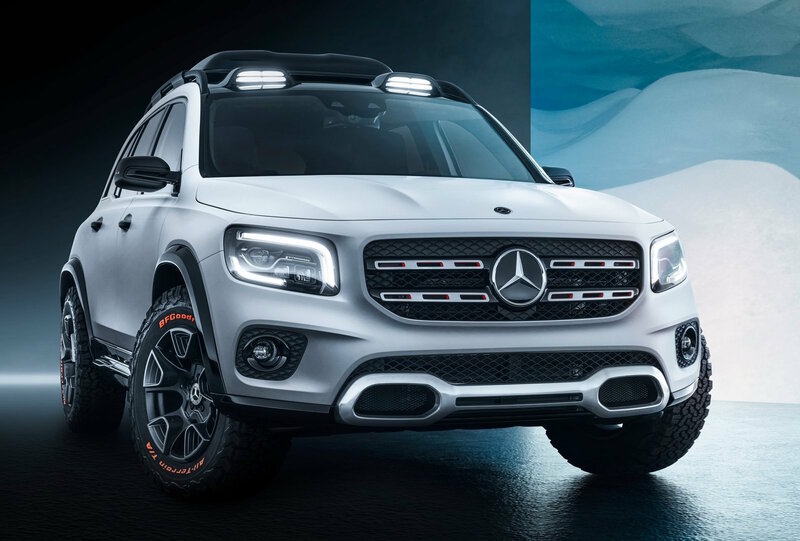 It’s more than just a conventional SUV. Interior decor is nothing short of prestigious and glamorous. 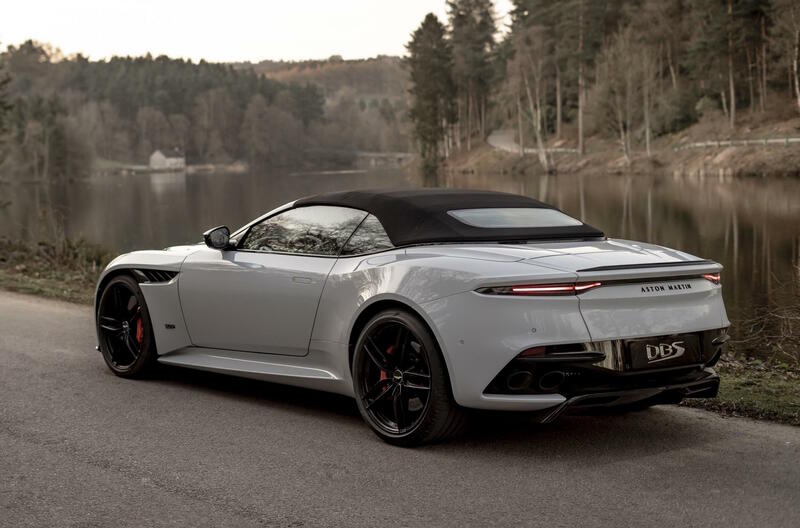 Metal accents around the centre fascia help to heighten the sense of quality and exquisiteness, while the contrasting stitching gives it a distinct luxury character. 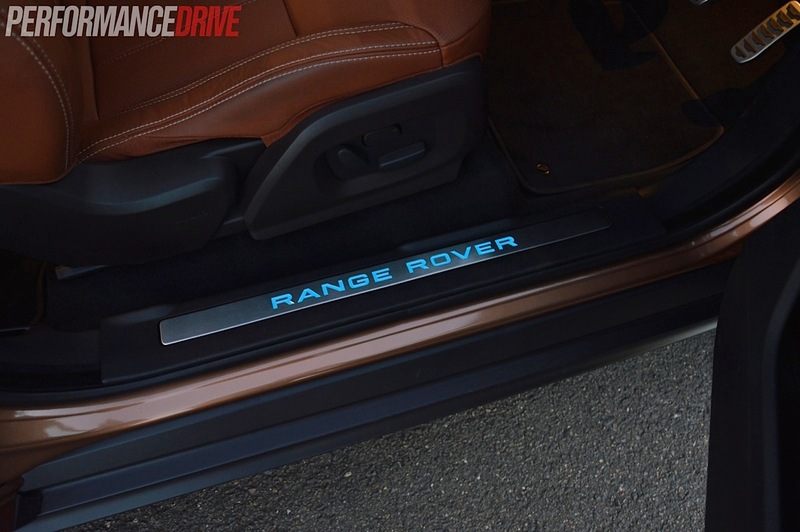 It is, for the lack of a better way to put it, unmistakably Range Rover. 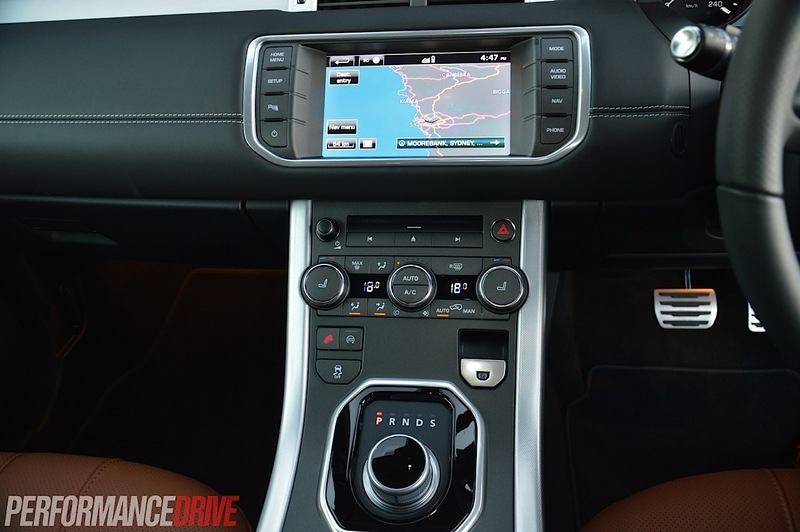 Sitting atop the fascia is Jaguar Land Rover’s latest touch-screen interface. It’s easy to use and the buttons are large so you can see and touch the option you want while on the go. A range of quick jump-to buttons around the screen also help speed things up if you know what you want to do. Comfort levels are very high in the front. 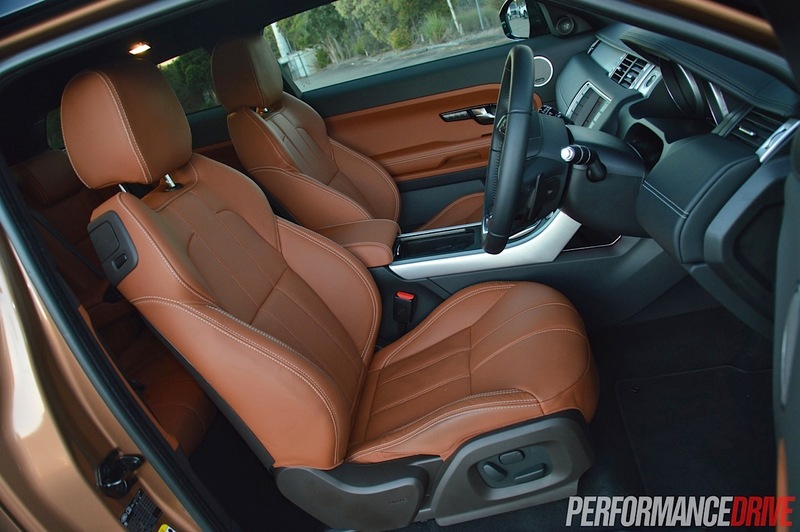 The sporty seats are well bolstered and support active driving styles, yet they aren’t too deep or stiff. Rear-seat comfort is pretty good for a coupe as well, with decent legroom and okay headroom for average to shorter people. Some of the highlight standard features for the Dynamic include three-zone climate control (with rear settings), power adjustable front seats, an 11-speaker stereo system with a sub-woofer, cruise control, and a range of black exterior highlights such as the front grille along with factory tinted windows. 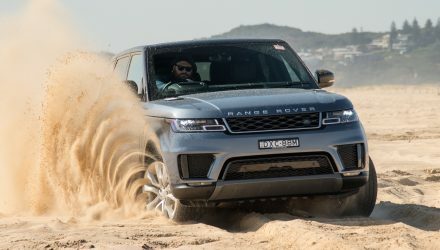 There is a comprehensive list of safety systems as well, such as seven airbags, dynamic stability control with corner braking control and roll-over stability, trailer-sway control, rear parking sensors, and hill descent control for off roading. Despite all of this, ANCAP has only awarded the Evoque four stars. The EuroNCAP team have given it a full five-star rating. The difference in judgement is mainly due to stricter rules ANCAP uses in its scoring system which makes it harder for cars that score lower in some areas and high in others to still achieve five stars, like with the EuroNCAP system. 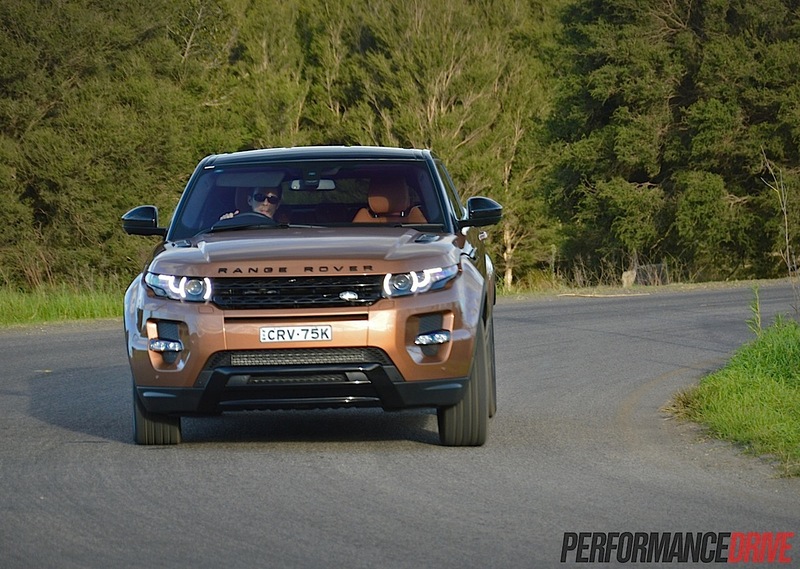 In this case, the Evoque hasn’t scored high in the frontal crash test yet it rated well in all other areas. 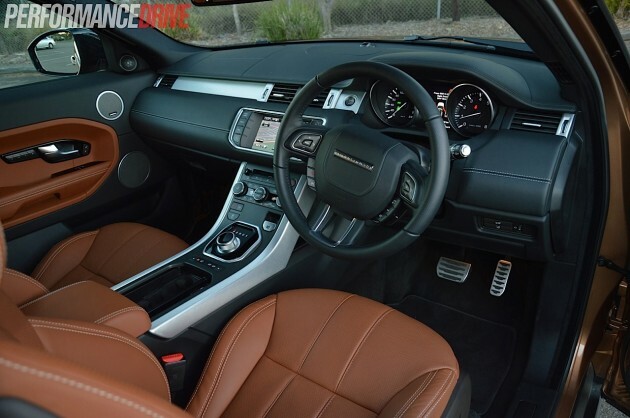 Steering the Evoque through a set of your favourite corners is surprisingly fun. 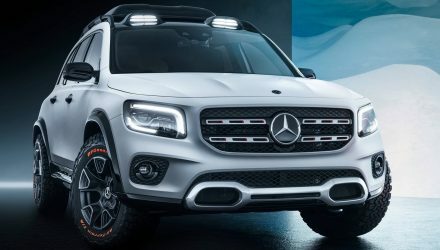 It’s an SUV but it doesn’t handle like one. Body control is more than commendable and it grips and rails around with the sort of enthusiasm that makes you want to do it all again. In saying that, it is difficult to find the platform’s limits. In the tighter bends front end grip is almost too committed as it can carry through and upset the rear end. Higher speed turns are more to its liking, where it remains flat and sturdy at all times. The main flaw to the handling we could find is the steering. It’s an electric setup which seems to have clumps of responsiveness throughout the turning range. Just off centre it goes a little vague and then the more you turn it’s as though the artificial weight is suddenly ‘turned on’. It’s by no means something that might cause you to close the cheque book. It’s simply not as clear or as precise as some of the rival systems out there. 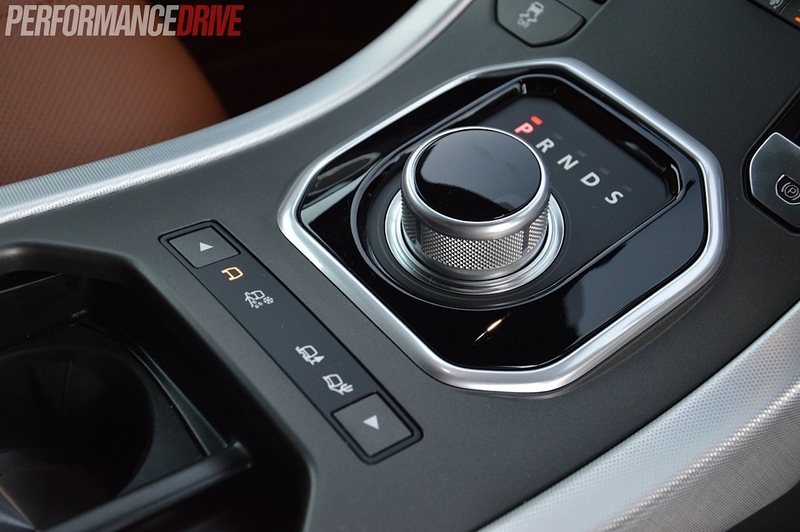 Now, obviously the elephant in the room here is the new nine-speed auto. This is one of the first in the industry, made by a well-known German transmission manufacturer called ZF. How does it feel? Is nine too many? 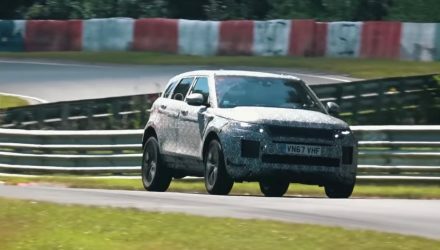 According to Land Rover fuel economy is improved by 11.4 per cent while emissions are reduced by 9.5 per cent thanks to the new unit. In the real world, we aren’t all that impressed with the overall driveability or practicality of the nine speeder. Pulling into streets or onto roundabouts tends to cause it to kick down a lot and jerk somewhat. S mode doesn’t really help as the revs climb far too high before changing gear for normal driving. 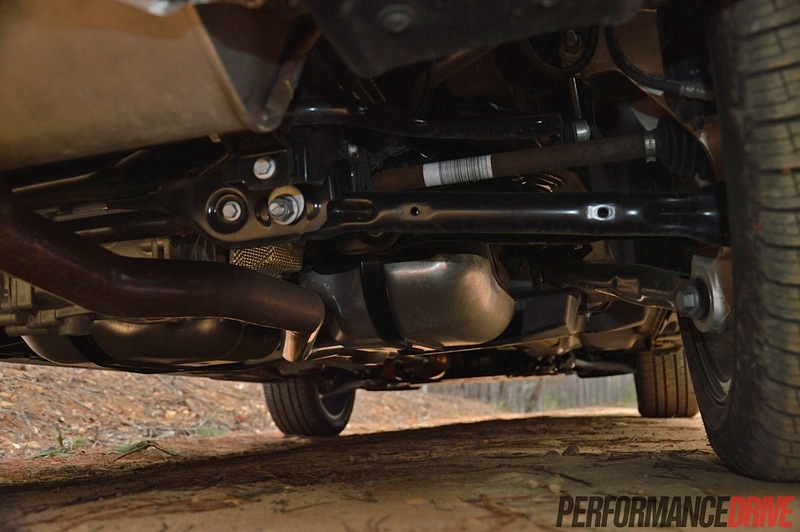 Kick-down performance is similarly cumbersome. 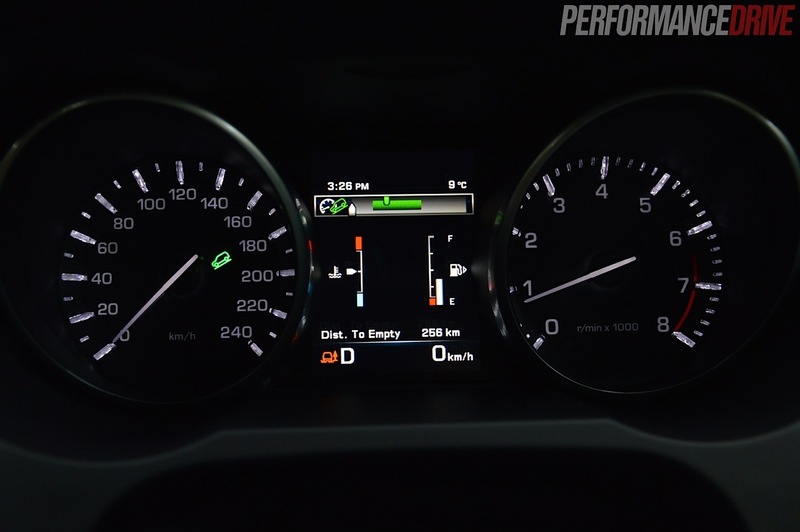 If, for example, you’re cruising along the road at 60-70km/h in D – 7th or 8th, usually – and suddenly require a bit of overtaking acceleration, there is a clear 1.0-2.0-second delay while it calls for second or third gear. 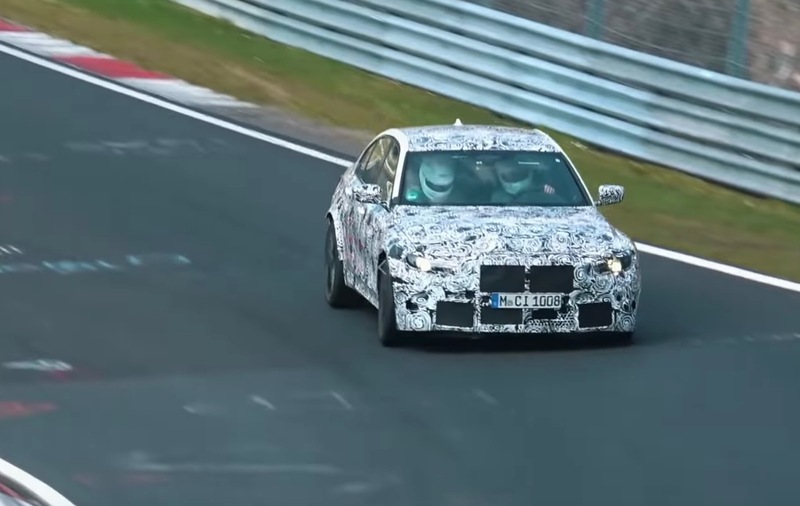 Even fourth gear can be a ridiculous four gears away. You tend to accept the fact that it takes time for mechanics to work, but our gripe is simply down to the questionable need for so many gears in the first place. It also makes it very easy to speed. If it were a bigger capacity engine, 1800-1900rpm is a nice cruising engine speed. 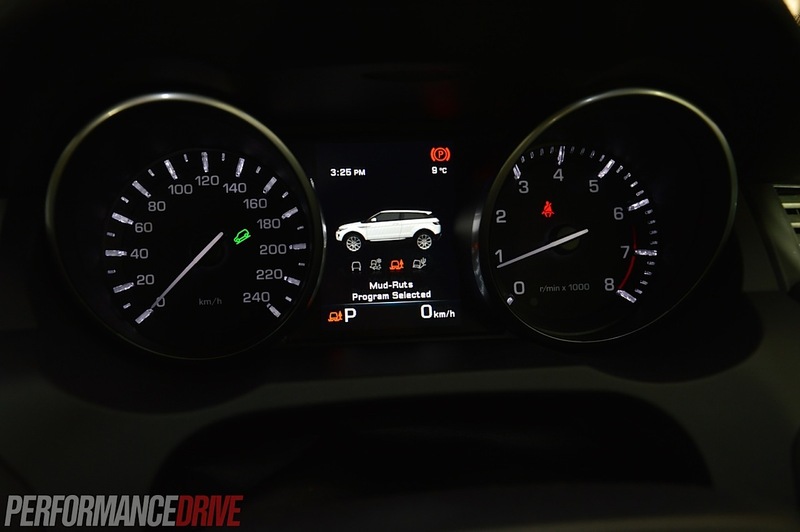 With the little 2.0-litre turbo it tends to like spinning at around 2300rpm. In 9th at that revs you’re doing 140km/h-plus. This is perfect for Europe where speed limits are 130km/h or non-existent at all, but in Australia it can cause you to watch the speedo more than the road ahead. At both ends of the spectrum though it does seem to make a great deal of sense. Off road, climbing a steep hill, first gear is very low and can pull the outfit up slowly and controlled. 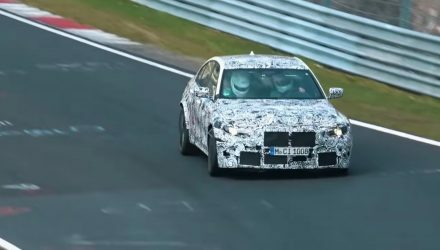 Conversely, out on the freeway it requires a mere 2000rpm to cruise at 120-130km/h, which obviously contributes to lowering emissions and saves a considerable amount of fuel. We averaged around 8.8L/100km during our week with the vehicle, and the official average is 7.8L/100km. Compared with the Volvo XC60 T5 which comes with the exact same engine, the benefits of the nine speed can be immediately seen, with the Volvo averaging 8.7L/100km on the official cycle. As for the engine itself, it’s a great unit. Mid-range surge is strong from anything deeper than half throttle. If the transmission is in seventh gear or sixth gear at 50km/h, the engine pulls through and doesn’t ask or need the transmission to change down, so long as you stay within the kick-down threshold. On paper it shows too, with 340Nm available from just 1750rpm. 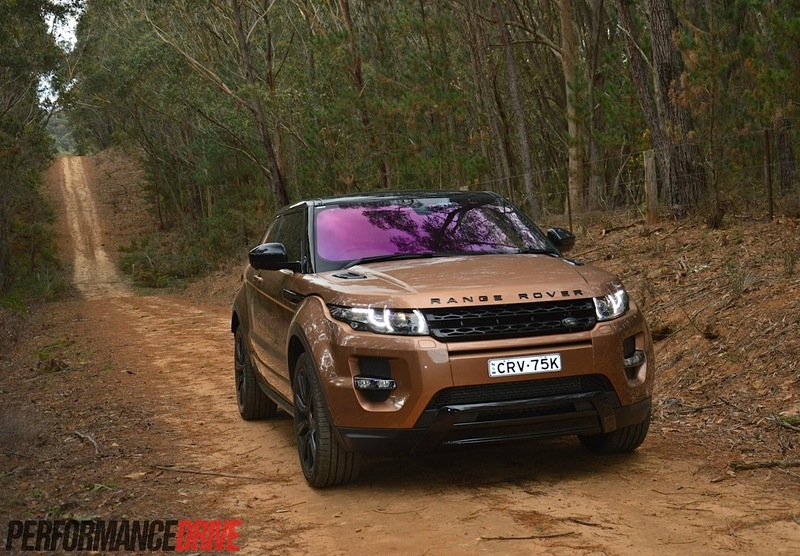 We think the 2.0-litre engine is a good match for the Evoque’s 1850kg weight, but we’re not sure about that nine speed. Regardless, we timed 0-100km/h in 6.9 seconds. 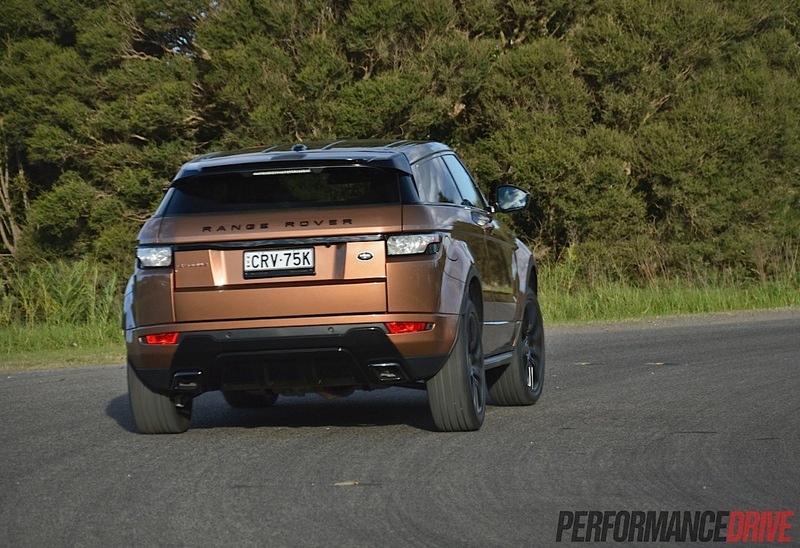 This is a cracking time for an SUV that’s not necessarily setting out to be a sports car. 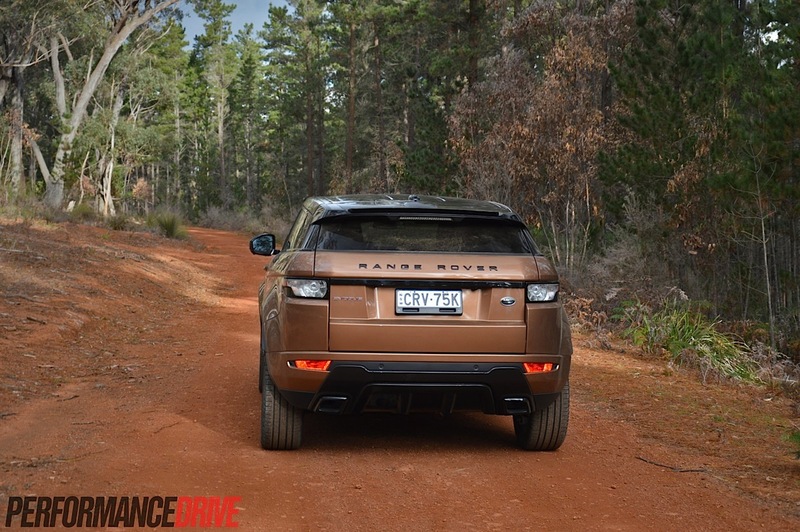 Off the road, the Evoque is a true Land Rover at heart. While we didn’t attack any really serious terrain during our test, we have no doubt about its capabilities. 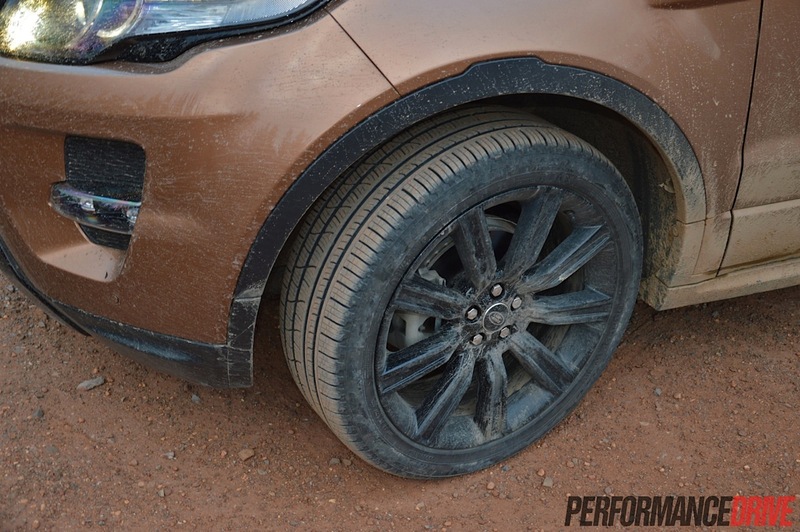 Grip is relentless, including in slippery mud, while the 210mm ground clearance provides more than enough confidence to get through most recreational tracks and access roads to camping grounds. 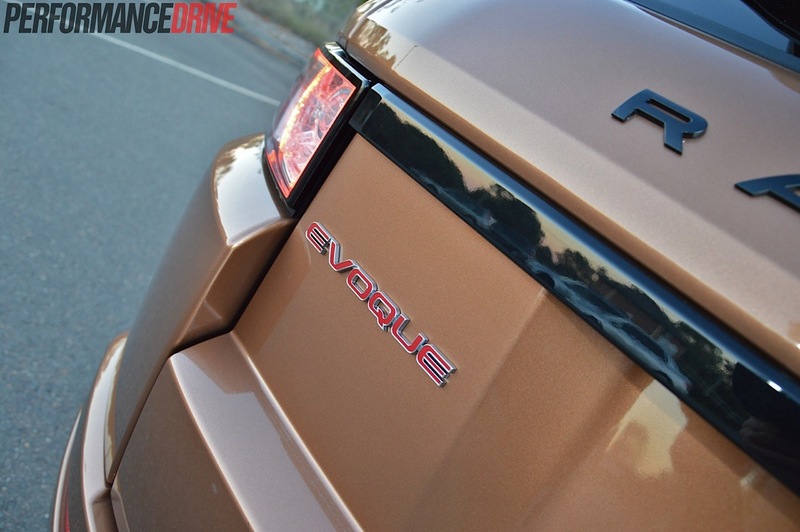 The Evoque continues to be a very likeable member of the motoring community. Other drivers let you in when merging with traffic, and most people will give you a little nod of respect when they see you coming. 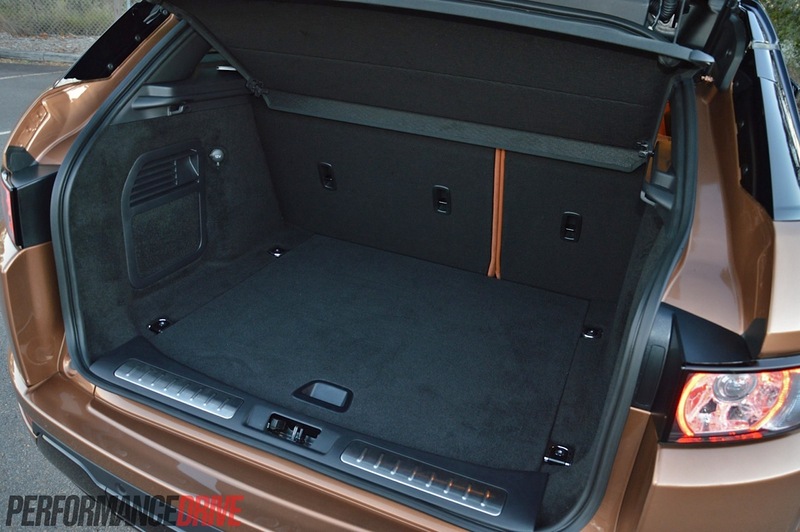 It’s a stunning vehicle to behold, cute and beautifully proportioned with muscular bulges and handsome panel edges, with a high quality luxury interior. We’re not a big fan of the nine speed, as mentioned, but maybe it’s just the example we tested? 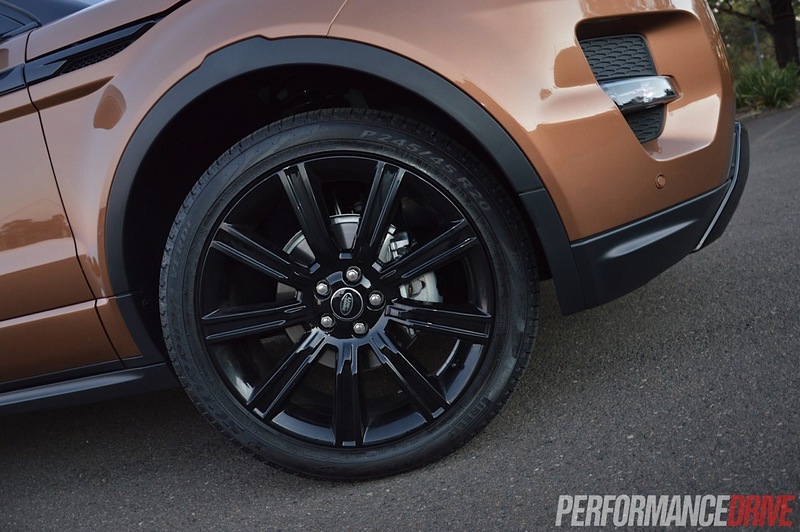 If you own an Evoque nine speed, feel free to give us your opinion in the comments area below.